It has been called the most dangerous gang in American history. In Los Angeles alone it is responsible for over 100 homicides per year. Although it has fewer than 300 members, it controls a 40,000-strong street army that is eager to advance its agenda. It waves the flag of the Black Hand and its business is murder. Although known on the streets for over fifty years, the Mexican Mafia has flown under the radar of public awareness and has flourished beneath a deep cover of secrecy. Members are forbidden even to acknowledge its existence. For the first time in its history, the Mexican Mafia is now getting the attention it has been striving to avoid. In this briskly written and thoroughly researched book, Tony Rafael looks at the birth and the blood-soaked growth of this criminal enterprise through the eyes of the victims, the dropouts, the cops and DAs on the front lines of the war against the Mexican Mafia. The first book ever published on the subject, Southern Soldiers is a pioneering work that unveils the operations of this California prison gang and describes how it grew from a small clique of inmates into a transnational criminal organization. As the first prison gang ever to project its power beyond prison walls, the Mexican Mafia controls virtually every Hispanic neighborhood in Southern California and is rapidly expanding its influence into the entire Southwest, across the East Coast, and even into Canada. Riding a wave of unchecked immigration and seemingly beyond the reach of law enforcement, the Mexican Mafia is poised to become the Cosa Nostra of twenty-first-century America. It has been called the most dangerous gang in American history. In Los Angeles alone it is responsible for over 100 homicides per year. Although it has fewer than 300 members, it controls a 40,000-strong street army that is eager to advance its agenda. It waves the flag of the Black Hand and its business is murder. Although known on the streets for over fifty years, the Mexican Mafia has flown under the radar of public awareness and has flourished beneath a deep cover of secrecy. Members are forbidden even to acknowledge its existence. For the first time in its history, the Mexican Mafia is now getting the attention it has been striving to avoid. 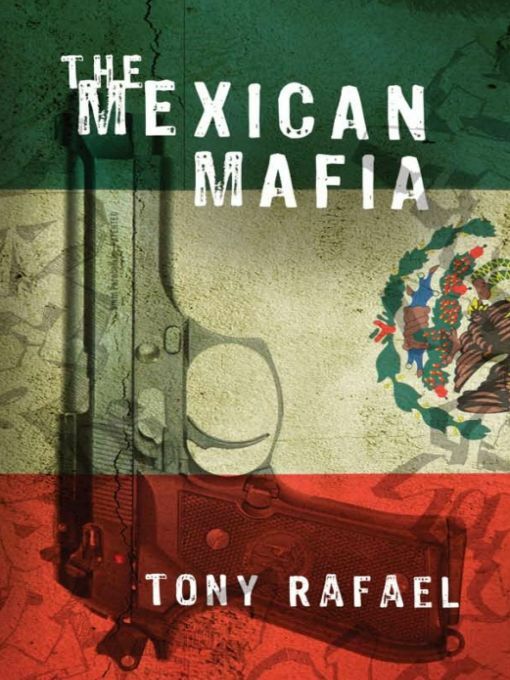 In this briskly written and thoroughly researched book, Tony Rafael looks at the birth and the blood-soaked growth of this criminal enterprise through the eyes of the victims, the dropouts, the cops and DAs on the front lines of the war against the Mexican Mafia. The first book ever published on the subject, Southern Soldiers is a pioneering work that unveils the operations of this California prison gang and describes how it grew from a small clique of inmates into a transnational criminal organization. As the first prison gang ever to project its power beyond prison walls, the Mexican Mafia controls virtually every Hispanic neighborhood in Southern California and is rapidly expanding its influence into the entire Southwest, across the East Coast, and even into Canada. Riding a wave of unchecked immigration and seemingly beyond the reach of law enforcement, the Mexican Mafia is poised to become the Cosa Nostra of twenty-first-century America.